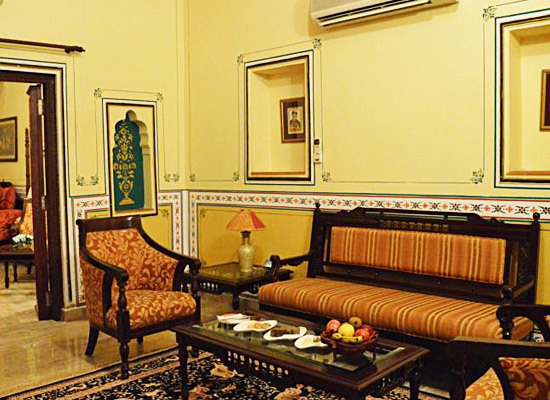 "One of the best heritage style hotels in Jaipur, Chokhi Dhani Resort is the perfect accommodation facility for spending vacations, holding business meetings and for organizing a royal wedding. All the services and facilities that one requires to have an unforgettable stay are made available to each and every guest. The hotel staff works hard each day get better and better. It is one of the finest 5-star ethic village resorts of India. 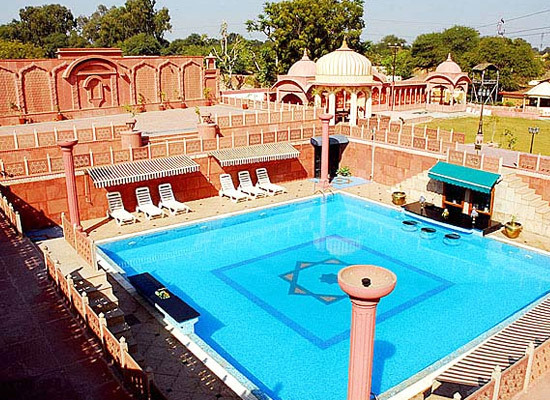 Choki Dhani Resort Jaipur is designed to offer the rich and varied culture of Rajasthan to tourists who come here. Every piece of interior in the hotel starting from Kotri or the Lobby is designed with attention to traditional Rajasthani elements. The aim in mind when building this heritage style hotel in Rajasthan was to introduce one and all with the bundles of ethnicity of the state. With artifacts, murals, frescoes and wall-paintings, period furniture and mud-plastered walls, the aim is accomplished and how! There are total 104 accommodation facilities at the resort comprising of 3 Honeymoon Suites, 8 Haveli Suites, 56 Cottages, 4 Royal Suites and 33 Royal Cottages. Each and every accommodation is very spacious and centrally air-conditioned. 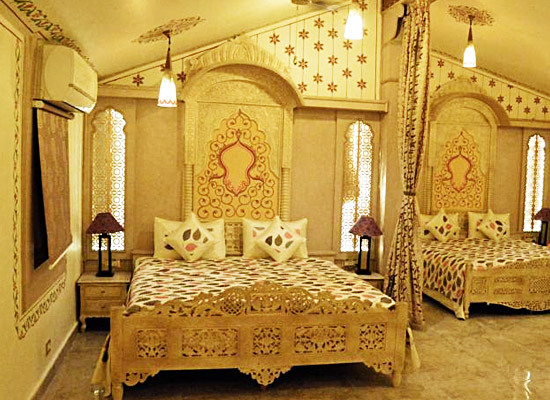 Cottages Rooms: Those who wish to experience the ethnic culture of Rajasthan at its full flow can chose to stay in these cottages. Suites Rooms: All the suites in the hotel reflect the historical beauty of Rajasthan with luxurious amenities providing utmost comfort. 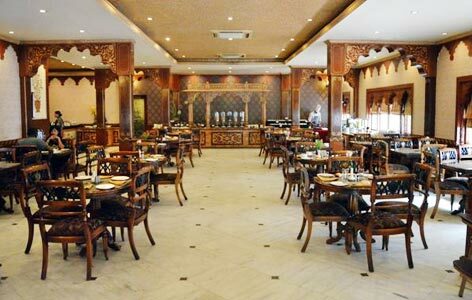 Bindola Restaurant: Multi-cuisine restaurant offering delicious Chinese, Indian and Continental cuisines amidst live Ghazals performance in the background. 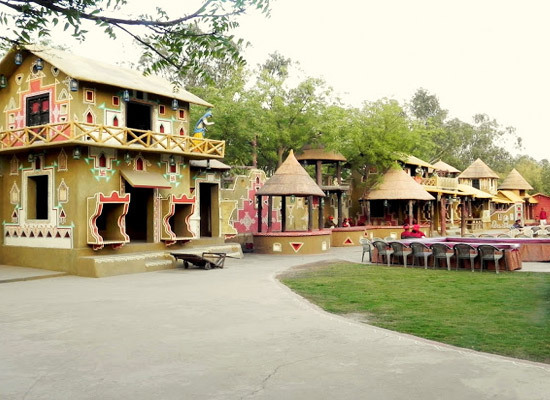 Aarogosa Restaurant: Traditional Indian and Rajasthani delicacies offered here. Chaupal: Delicious quick bites under sun with gorgeous views all around offered here. 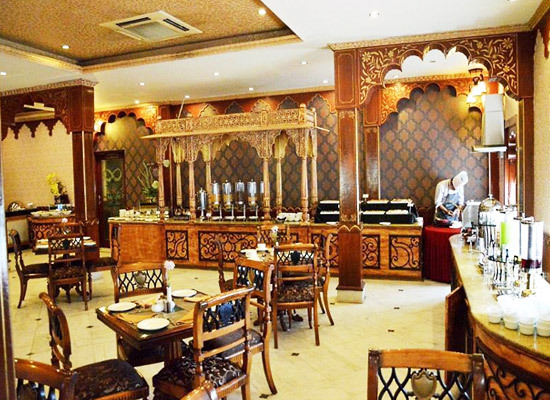 Kesar Kyari: Delicious Barbeque and Tandoori delights served to guests. Chandi Mahal Bar & Sheesha Lounge: Alcoholic and non-alcoholic delights offered along with multiple choices of hukkah flavors. Jaipur is situated in the Indian state of Rajasthan. The city has been a major center of attraction in the country luring tourists from all hidden corners of the world. The city is replete with rich ethnicity all around which is clearly visible by the villages in the city. Tourists who come here love going to village tour in Rajasthan for experiencing serenity and tranquility of an all together different level.